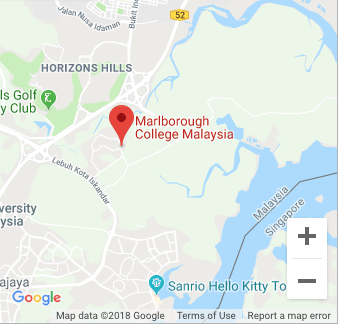 Marlborough College Malaysia’s curriculum broadly follows and extends the English National Curriculum to allow for a proper combination of breadth and specialisation. It has been designed to stimulate, challenge and support all pupils. The curriculum is supported by a wide range of academic extension and enrichment activities through societies, lectures, theatre trips, museum and gallery visits, debates, poetry readings, conference and concerts creating a full co-curriculum which recognises that qualifications alone do not produce a well-balanced educated person. Time is allowed in the curriculum for co-curricular activities, and on occasions the timetable is suspended or modified to allow activities to occur, such as subject-specific day trips and events and sports fixtures. The Marlborough College Malaysia curriculum is designed to ensure that every individual maximises their potential. There is a clear focus placed upon success in public examinations, but the College also takes seriously its responsibility in preparing pupils to succeed beyond the College, at University, and in their subsequent career wherever that might be in the world. Subjects are taught in departmental areas to give all pupils the advantage of specialist facilities such as laboratories, art studios, computer suites, design technology workshops and modern language spaces. The Library is located in the heart of the College and holds a stock of fiction from which pupils may borrow. The curricular provision is regularly reviewed to ensure that it best serves the interests of all pupils, and departments are responsible for the development of their particular subject area. Schemes of work are reviewed annually and designed to ensure that lessons are correctly focused and that all pupils, regardless of their particular needs, are able to make progress through the school. The pupils have their reading and spelling ages tested at the beginning and end of each year. 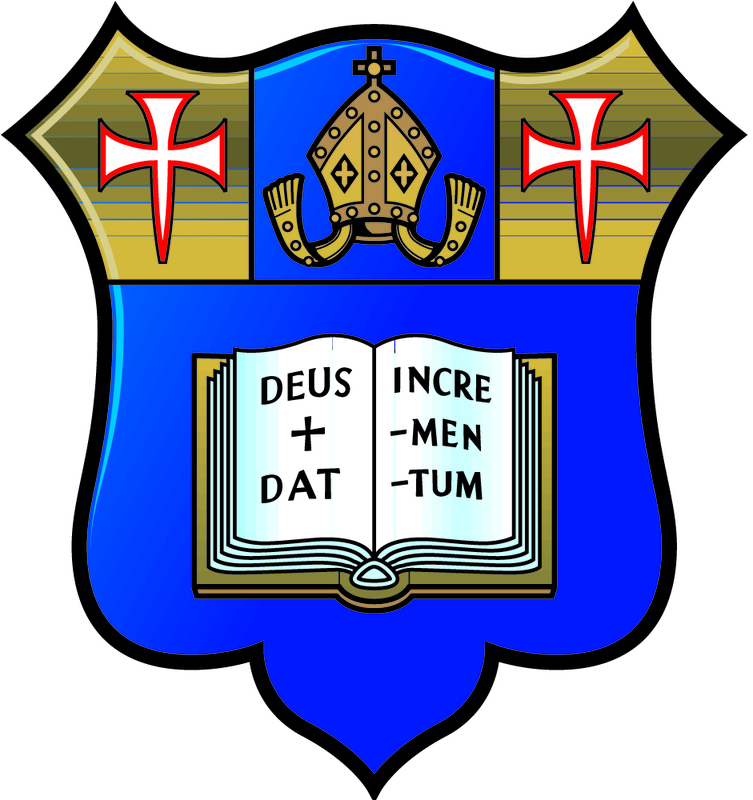 In the Preparatory School the curriculum is based on the English National Curriculum; however, Marlborough College Malaysia recognises that the Curriculum should reflect the international nature of the school. Pupils are taught Mandarin Chinese from Reception and Spanish and Malay are offered as language options. It mirrors also the aim of the school to provide a broad ‘all-round’ education. The Preparatory School provides rich learning experiences where pupils receive excellent education and preparation for entry to the Senior School. 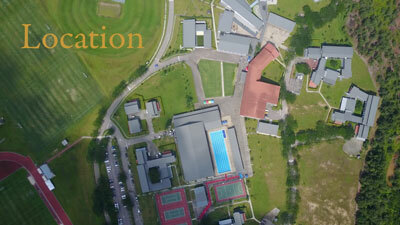 Our stimulating, nurturing environment encourages the pupils to reach our high expectations of academic achievement. In addition to providing a first-rate academic education the Preparatory School provides its pupils with ample opportunity in Sport, Art, Design and Information Technology, Music and Drama. This is supported by a full programme of co-curricular activities during the school week. Pupils have specialist teaching from Reception, and, as they move through the school, have more access to Senior School facilities. The Preparatory School is also equipped in its own right, with a dedicated Library, Swimming Pool, Art/DT/Science rooms, a Dining Hall and a Performance Hall. From August 2017. The school day follows the general timings of the Senior School, as this allows the deployment of Senior Specialists in the Preparatory School. However, careful consideration is given to the detail of lesson allocations due to pupil age and Key Stage. Cognitive Ability Tests are sat at the beginning of the year as part of the school’s internal assessment schedule. Progress tests are taken in Mathematics and English in the summer, as are formal academic subject assessments. There is a House system in place at the Preparatory School. This reflects our core values of Compassion, Companionship and Conversation. House events encourage pupils to make the most of the opportunities offered by a ‘family’ that contains all year groups. There are regular celebration and school assemblies throughout the term. For further information on this Curriculum please visit the Early Years Foundation Stage Website. The curriculum in Year One (age 5/6) is being designed to progress smoothly from the Foundation Stage. It extends the pupils academically whilst ensuring breadth and balance in the activities on offer. Independent decision making and learning become areas focus at this stage. The children study a range of topics, which are linked to the National Curriculum, but also take into consideration the nature of an international school in Malaysia. The pupils in Year Two (age 6/7) follow a curriculum that extends beyond the requirements of the New English National Curriculum to provide an exciting and interesting year. Research and presentation skills come increasingly to the fore. During Year Two the children are encouraged to become much more independent in work and personal responsibility. There are a wide range of activities provided by fully qualified staff in a well-structured day that enable each child to reach his or her own potential. There is also be a full range of after school clubs on offer. In both EYFS and Key Stage 1 specialist teachers enrich the curriculum for the pupils in such subjects as Mandarin, Malay, Spanish, Music, Drama and PE. This Key Stage consists of Year 3 (age 7/8), Year 4 (age 8/9), Year 5 (age 9/10) and Year 6 (age 10/11). Teaching is based on the New English National Curriculum. The curriculum will also reflect the international nature of the school with Mandarin being taught to all. The Humanities syllabus also includes local study projects. In Years 3 and 4 the Form Teacher is central to the everyday education of pupils, though there is more specialist teacher input with more movement around the Preparatory School for lessons. Academic setting becomes more formal in Lower Prep. Pupils begin to compete in internal and external sporting fixtures. From Year 5, the pupils are set academically in English, Mathematics and Science. Each subject is now taught by a specialist with the Form Tutor taking more of a pastoral role. Emphasis is increasingly placed on preparation for entry to the Senior School. English, Mathematics, Science, Mandarin, French, Spanish, Malay, History, Geography, Religious Studies, Art, Design Technology, Drama, Information Technology (IT), Music, Personal Social and Health Education (PSHE) and Physical Education (PE). In preparation for entry to the Senior School, the ISEB Common Entrance Course is followed. This adds academic rigour beyond the National Curriculum. We continue to adapt and enrich our pupils’ studies according to the context of their education in an international school in Malaysia. For example, Mandarin Chinese is the major foreign language, and individual subjects may often include relevant local material. In the Senior School subject specialists teach all lessons and pupils move to their classes through the day. All students require an Apple MacBook laptop. There are eight academic lessons per day, each lasting 45 minutes. The timetable is a ‘two-week timetable’ meaning we plan for 80 academic lessons over two weeks, including one assembly, three activity and four games periods per week. Sixth Form pupils also have lessons on Saturday mornings to ensure that they have sufficient teaching time to meet the demands of the IB curriculum. In Shell we start the preparatory work to ensure that pupils are ready to begin their IGCSE studies in Remove. We adapt and enrich our pupils’ studies according to the context of their education in an international school in Malaysia. For example, Mandarin Chinese is compulsory and the humanities and English include relevant local subject material. Pupils in the top set in Mathematics begin their IGCSE study with the aim of sitting the examination at the end of Remove. Pupils also start their IGCSE course in the three sciences. English Language and Literature, Maths, Biology, Chemistry Physics, Mandarin Chinese, Humanities (Economics Geography, History and Comparative Religious Studies), Art, Music, Drama, Design Technology, and Computer Science. Bahasa Malay, French or Spanish. During these years pupils study towards externally assessed examinations known as International General Certificates of Education (IGCSEs). At the end of the course each IGCSE is graded on a scale from A* to G. All pupils study the core subjects and then choose four option subjects. Science – Final examinations are either Double Science or separate Biology, Chemistry and Physics. Option Subjects. Pupils choose four options. Bahasa Malay – offered as First Language (GCE O Level) and Foreign Language IGCSE. In August 2014 MCM began the International Baccalaureate Diploma Programme with our first cohort of pupils. This is a coherent and balanced programme of study that maintains breadth but allows for specialisation. The IB Diploma requires pupils to study one subject from each of five groups and one other, plus completing the core aspects of Creativity, Action and Service, the Extended Essay and Theory of Knowledge. Three of these subjects must be taken at Higher Level and the other three at Standard Level. At the conclusion of the courses each subject is given a points score, with 7 being the best down to 1. Extra points, to a maximum of 3 will be awarded for performance in the core aspects. This gives a maximum possible score of 45 points. Most pupils study English Literature. We also offer Mandarin Literature, or pupils may choose to do a self study course in their mother tongue, although this can only be done at Standard Level. Language B – designed for pupils with prior proficiency in the language. We offer Bahasa Malay (Standard Level only), English, French, Mandarin and Spanish. Ab Initio – designed for pupils with little current knowledge or who are new to the language. Ab Initio languages can only be taken at Standard Level. We offer Bahasa Malay, French, Mandarin and Spanish. In this group we offer Business and Management, Economics, Geography, History and Psychology. In this group we offer Biology, Chemistry, Computer Science, Design Technology, Physics and Sports Exercise and Health Science (Standard Level only). Pupils must do one of three Mathematics courses. Higher Level Mathematics is for the most able, Standard Level Mathematics for those who will need some Mathematics for their degree course and Mathematical Studies Standard Level. Pupils may select an additional language, another humanity, an second science, or one of Music, Theatre Arts or Visual Arts. An example option choice for a pupil planning on studying Medicine at university may be Higher Levels in Biology, Chemistry and Mathematics, together with Standard Levels in English Literature, Ab Initio French and Geography. A pupil wishing to study Law could choose Higher Levels in English, History and Theatre Arts, together with Standard Levels in Bahasa Malay Language B, Sports, Exercise and Health Sciences and Mathematical Studies.